AB 1881 GOES INTO EFFECT JAN. 1ST, 2010! 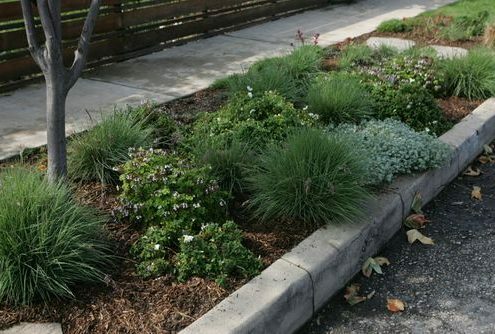 California Assembly Bill 1881 is the Model Water Efficient Landscape Ordinance (MWELO) and it goes into effect Jan. 1st, 2010. What’s in it and why do I care? If you (or your office) produce planting and or irrigation plans, AB 1881 has specific details and provisions as to applicability and content of those plans. ….new construction and rehabilitated landscapes which are developer-installed, homeowner-provided and/or homeowner-hired landscaping in single-family and multi-family residential projects with a landscape area equal to and greater than 2,500 square feet requiring a permit, plan check or design review. Effective Jan1 st, 2010 all local agencies shall adopt the Model Ordinance, or one that is at least as effective (i.e. “stringent”..our word..) as the Model Ordinance in conserving water. Some Elements of the Landscape Documentation Package. The Maximum Applied Water Allowance will set the (maximum) amount of water you will be allowed to use on the landscape. Oh and by the way, we now have to use an ET Adjustment factor of .55 ! Example: If your annual ET is 45, its adjusted down to 24.75 Are you thirsty yet? For the purpose of determining the Maximum Applied Water Allowance (MAWA), the ET Adjustment Factor (ETAF) is 0.55 (for residential projects, .45 for commercial projects). Narrow or irregularly shaped areas less than ten (10) feet in width in any direction shall be irrigated with sub-surface or low volume irrigation technology. ..and ..Overhead Irrigation shall not be permitted within 24 inches (it is or was 18″ in Santa Monica...) of any non-permeable surface. exception: … the landscape area is adjacent to permeable surfacing and no overspray or runoff occurs; or …. exception:….the adjacent non-permeable surfaces are designed and constructed to drain entirely to landscaping, or the irrigation designer specifies an alternative design or technology as part of the Landscape Doc Package and clearly demonstrates strict adherence to irrigation system design criteria in Section 492.7. That’s pretty clear, isn’t it?